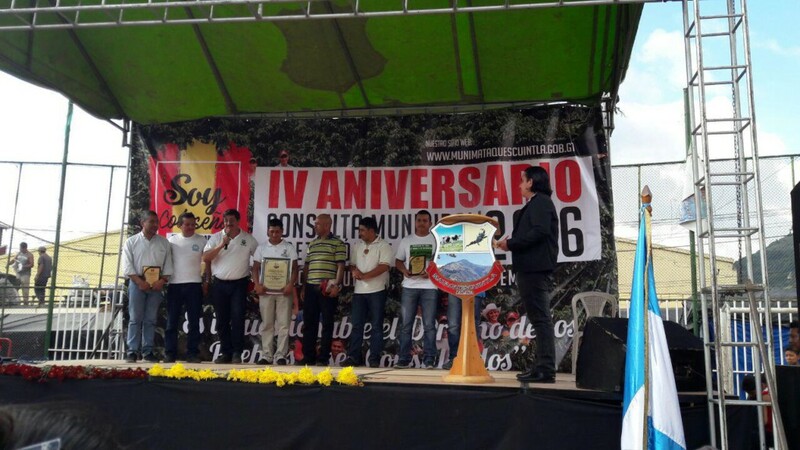 Four years ago, residents of the southeastern Guatemalan municipality of Mataquescuintla held a municipal referendum in which 98.42% of participants voted against the presence of resource extraction projects in their territories. 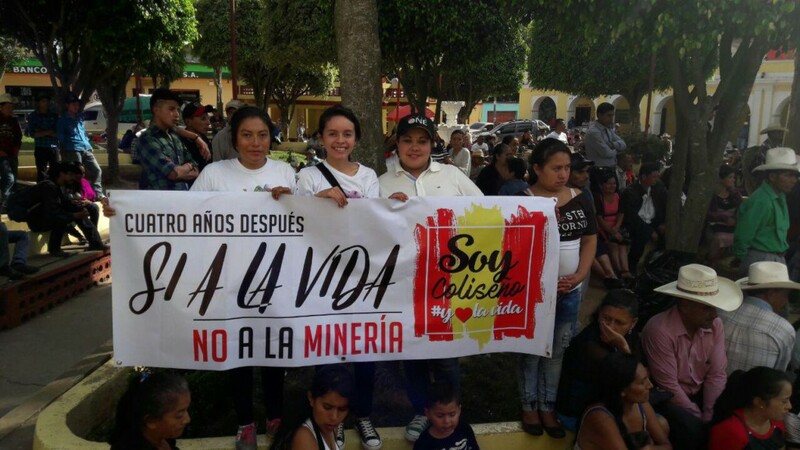 This past Friday, the municipality re-affirmed its commitment to uphold that decision and continue to stand up against US-Canadian mining company Tahoe Resources as it operates its Escobal mine in the area. For more information about the resistance to Tahoe Resources, click here. Despite attempts by Tahoe Resources to prevent the referendum from taking place in 2012 and challenge the results, the Constitutional Court upheld its legitimacy in 2013. 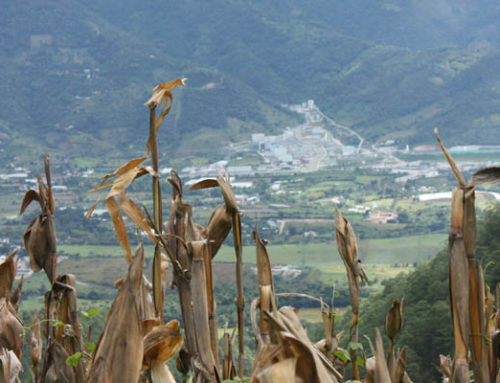 This strong opposition in the area has prevented Tahoe from connecting its Escobal mine to the power grid in Mataquescuintla, instead requiring them to rely on costly generators to carry out their mining operations. The company’s failure to disclose this widespread opposition to its shareholders has led to a complaint being filed with the U.S. Securities and Exchange Commission. Read the full complaint here. 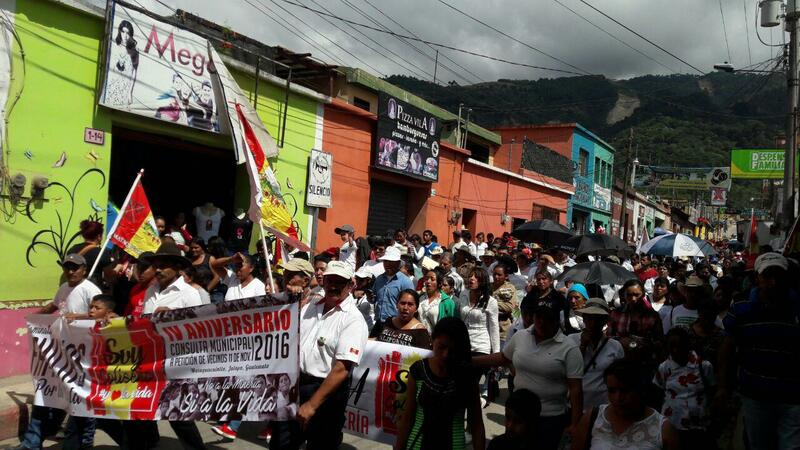 More than a thousand people kicked off the day with a march to commemorate the consultation and re-affirm the past four years of collective struggle against mining. 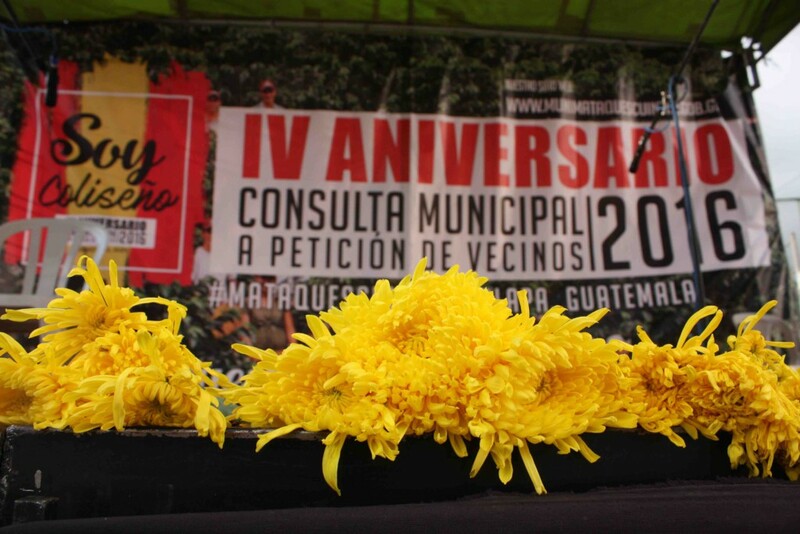 After holding a mass, they gathered in the park in a forum to hear from event organizers, Mayor Hugo Loy, and others who have worked over the past four years to uphold the results of the referendum and keep it front and center in a municipal-wide and regional-wide movement to protect land from mining. Mayor Hugo Loy presents recognition awards to many of the organizations that supported the event and have supported the larger struggle. 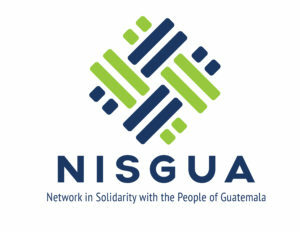 One of the awards presented during the forum was to the Guatemalan Center for Legal, Environmental and Social Action (CALAS). CALAS has played an integral role providing legal support to the communities in resistance to Tahoe Resources and many others opposing the imposition of mining projects across the country. 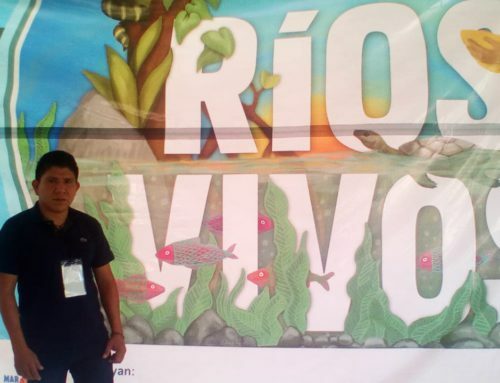 Like many other environmental defenders in Guatemala and around the world, they continue to stand up against powerful actors despite the well-documented risks they face for the work they do. In fact, the day after the anniversary, 22-year-old Jeremy Abraham Barrios Lima, Assistant to the General Director of CALAS, was murdered. As an activist and former student leader, he worked for two years as Director Yuri Melini’s assistant before being shot and killed on November 12. National and international organizations are denouncing this attack against the organization and are calling for an immediate investigation. 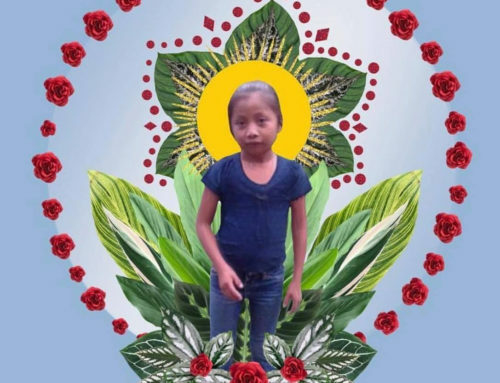 Read CALAS’ public statement on the killing and respond to Amnesty International’s call for urgent action. 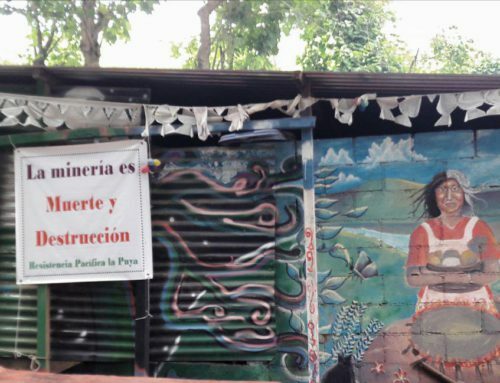 Amnesty International recently released a report in which the international human rights organizations stated that the region of Central America has become one of the most dangerous to be an environmental defender. 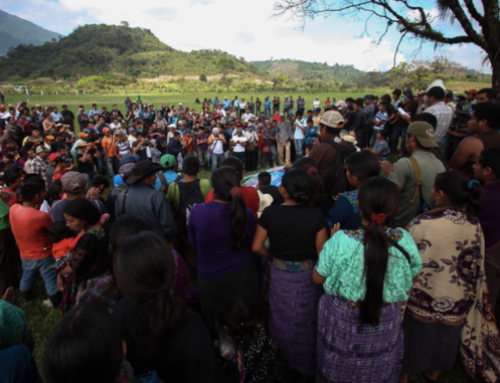 While the event in Mataquescuintla was centered around a celebration of their ongoing resistance, representatives from other struggles who have faced similar oppression and violence were present to show solidarity in the broader movement to protect land in Guatemala. 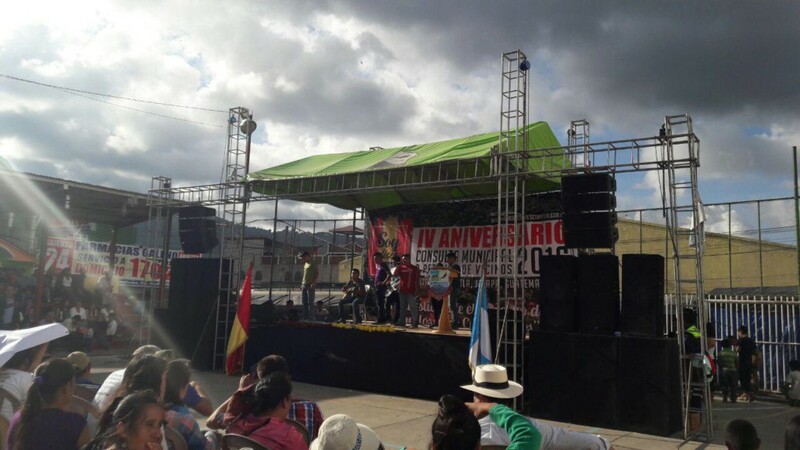 Artists organized with Festivales Solidarios concluded the day’s activities, bringing messages of support from Los Copones, Ixcán, where communities have organized against the threat of the Xalalá Dam. NISGUA has provided international accompaniment and advocacy support to communities resisting Tahoe Resources’ Escobal mine for the last 5 years.